Toyota has bought back a 2007 Tundra pick-up with 1,000,000 miles on it to check every component for wear. Owner Victor Sheppard put an average of 125,000 miles a year on the odometer, regularly driving long-haul trips from his home to North Dakota, Wyoming, and Virginia for his job. The truck still has its original engine, transmission and paint job. His 2007 Tundra was one of the first of its kind assembled exclusively at Toyota Motor Manufacturing, Texas, in San Antonio. 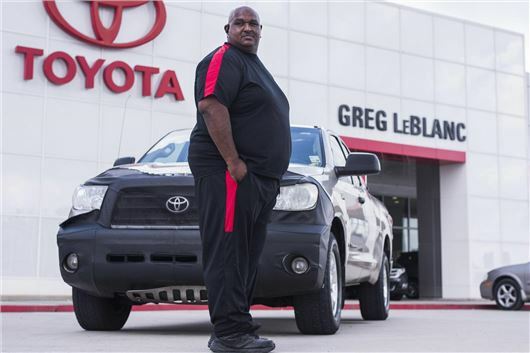 Now Toyota Motor Sales, U.S.A., Inc. has swapped trucks new for old with Sheppard at Greg Leblanc Toyota. While high-mileage vehicles help validate the quality of the manufacturing processes the company employs, Toyota engineers are interested in how the engine and transmission as well as other components and parts, such as the seats, have held up. And, since it was one of the first Tundra trucks from the San Antonio plant, Toyota’s chief truck engineer from Toyota Technical Center, Mike Sweers, and his team want a chance to get a better look under the hood and everywhere else to learn how the vehicle holds up after so many miles and rigorous use. Mobil Oil ran a BMW E30 325i automatic for more than 1,000,000 miles, driving the car constantly in shifts to prove the lubrication benefits of fully synthetic Mobil 1. Even at 1,000,000 miles, we found it was still capable of well over 100mph. The record for vehicle logevity is still held by New Yorker Irv Gordon whose 1966 Volvo P1800 is now showing more than 3,000,000 miles.